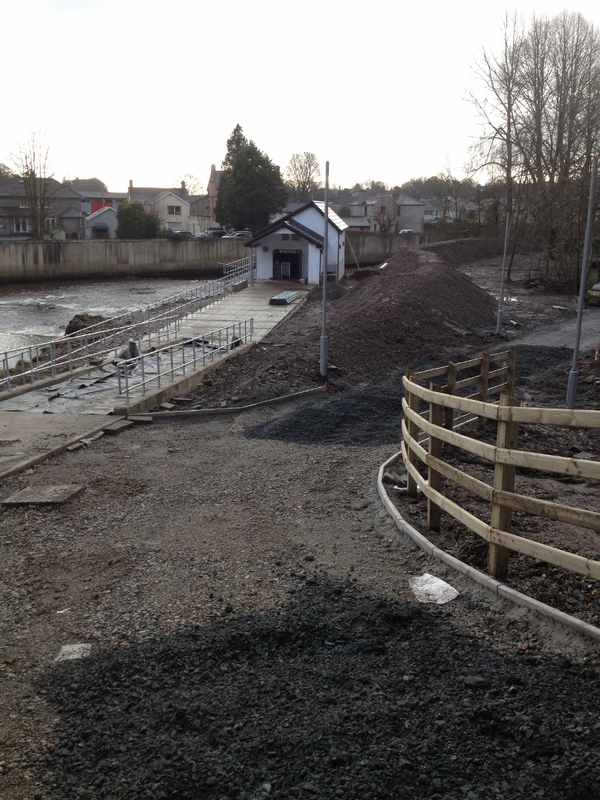 Omagh District Council has recently commenced work on a hydro project utilising the weir on the Camowen River, adjacent to Omagh Leisure Complex, to generate electricity through an Archimedean Screw hydro turbine. The development of the hydro scheme on the Camowen River will generate sufficient power to meet the needs of Omagh Leisure Complex with excess electricity sold back to the national grid. 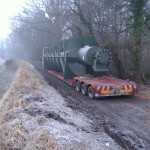 The Archimedean Screw arrived early on Friday morning by ferry from Germany. Rated at 121 kilowatts the hydro turbine is predicted to save in excess of 133 tonnes of Carbon Dioxide (CO2) annually and will make a major contribution to the Council’s green philosophy. This project will complement the Council’s initiatives to develop ‘green’ energy from renewable sources, including the installation of a biomass boiler at Omagh Leisure Complex. The revenue generated by the electricity from the hydro scheme will be contributed to a sustainability fund, which would become a resource to support other sustainability projects in the district. 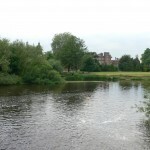 The Council was very conscious of the importance of the Camowen River as a fishery, and of the concerns of anglers. 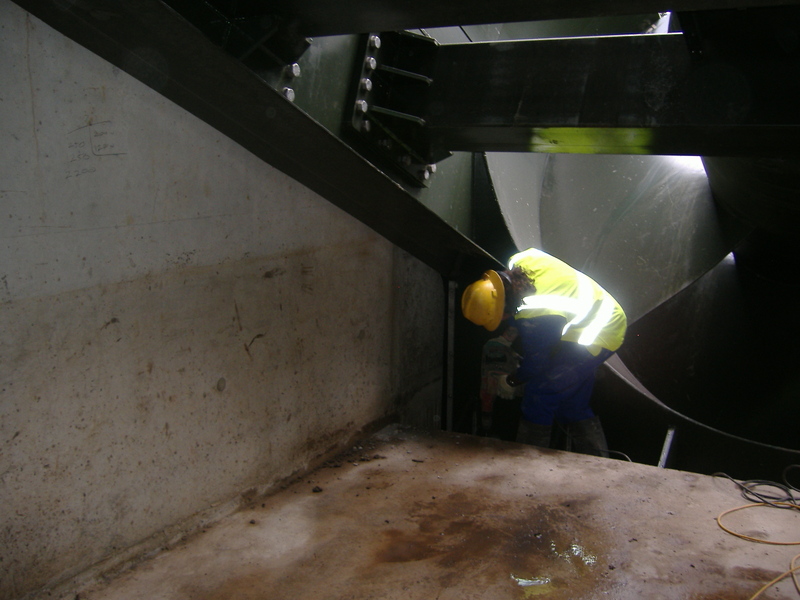 After various consultations it was decided that the most suitable turbine for the site was an Archimedean Screw. 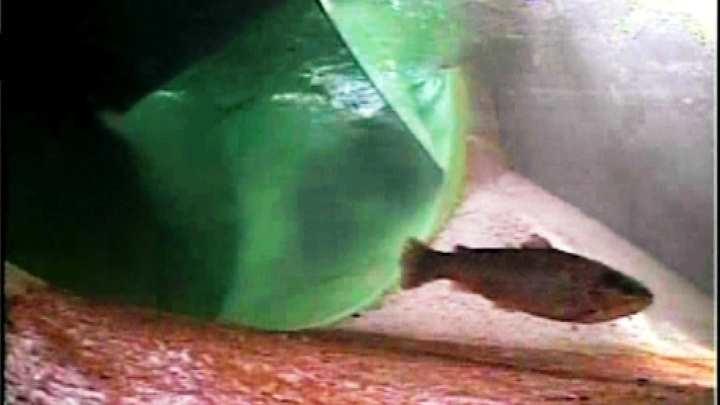 The Archimedean Screw turbine provides a fish-friendly alternative to conventional turbines, ideally suited to low-head (1m-10m) sites, and sites with fish protection issues. The site has seen many changes over the past few weeks. Safety screens and handrails have been installed. Landscape work is almost complete and it is is expected that this project will be commissioned and fully operational in the coming weeks. 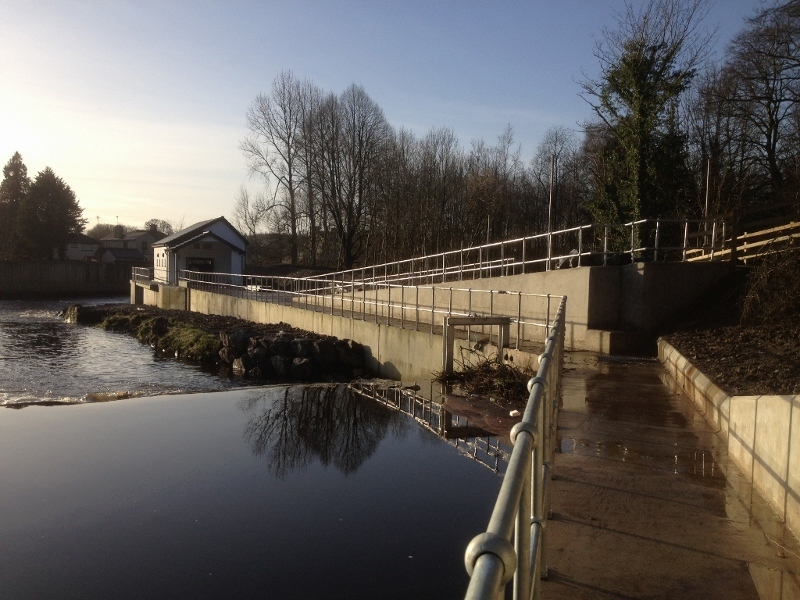 This Hydro project is the second of only two Archimedean Screw Hydro projects to date in Northern Ireland. Eco Evolution and Mann Power Consulting are installing both turbines. 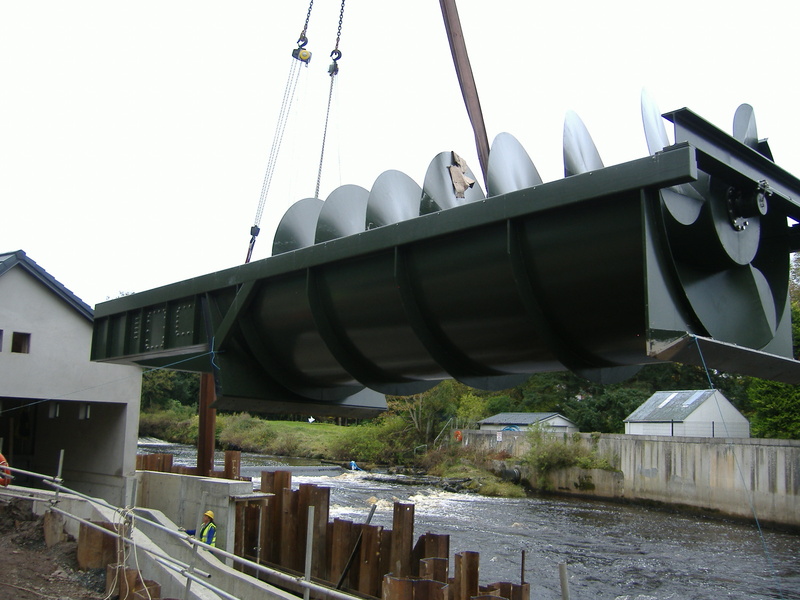 Mann Power Consulting based in Yorkshire are the pioneers of the Archimedean Screw in the UK and Ireland and Eco Evolution are their authorised representative for the whole of Ireland. The first ever Archimedean Screw generator in Northern Ireland was only recently installed at Shane’s Castle in Antrim. 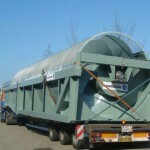 Rated at 214 kilowatts this is the largest single Archimedean Screw generator ever manufactured. 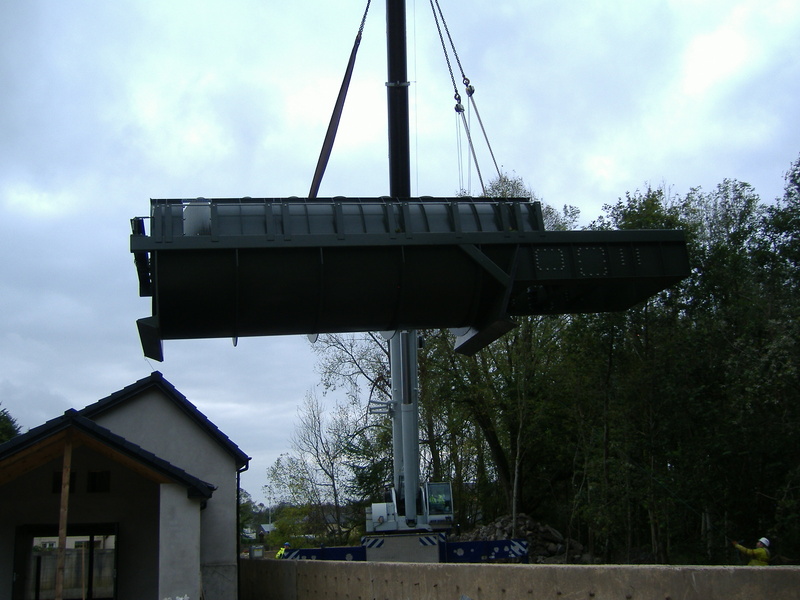 Eco Evolution and Mann Power recently installed the massive Rehart manufactured machine at Shane’s Castle. It is now fully commissioned fully operational. The predicted annual output is a massive 1,125,000 kilowatt-hours. To put this in perspective, an average household uses less than 5,000 kilowatt-hours per year, so this hydro scheme has the potential to power more than 225 houses. This scheme will also save an impressive 840 tonnes or more of Carbon Dioxide (CO2) emissions by generating clean, green electricity. 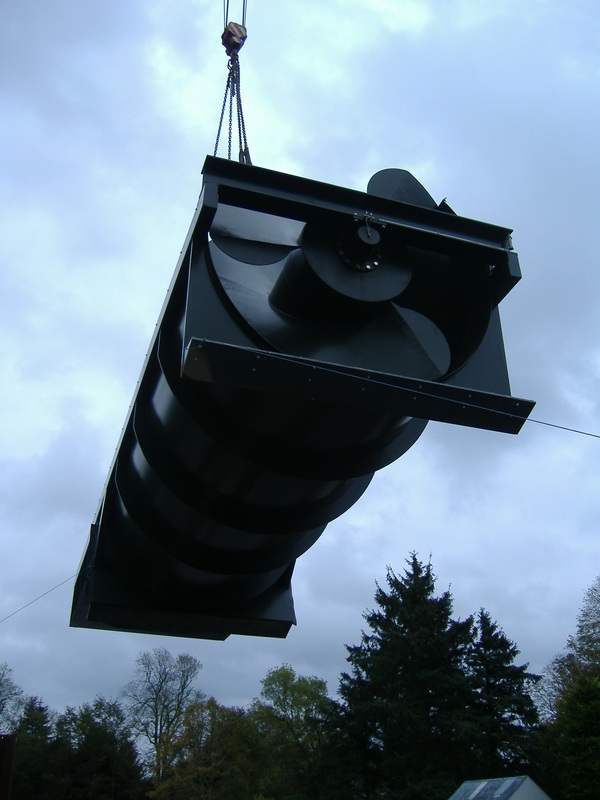 Eco Evolution and Mann Power together offer an unrivalled level of expertise and experience when it comes to the Archimedean Screw hydro turbine. Between us we have carried out well over 120 feasibility studies on low head hydro sites and have completed over 55 scheme designs. 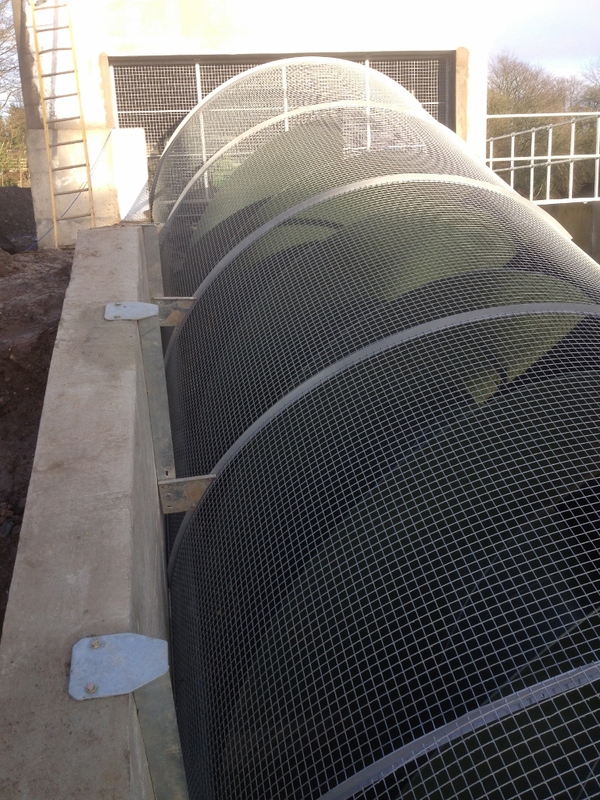 We also provide solutions for old mills that want to retain the traditional water wheel with a number of projects completed and operational with the old water wheel redesigned and refurbished or with a new water wheel manufactured. 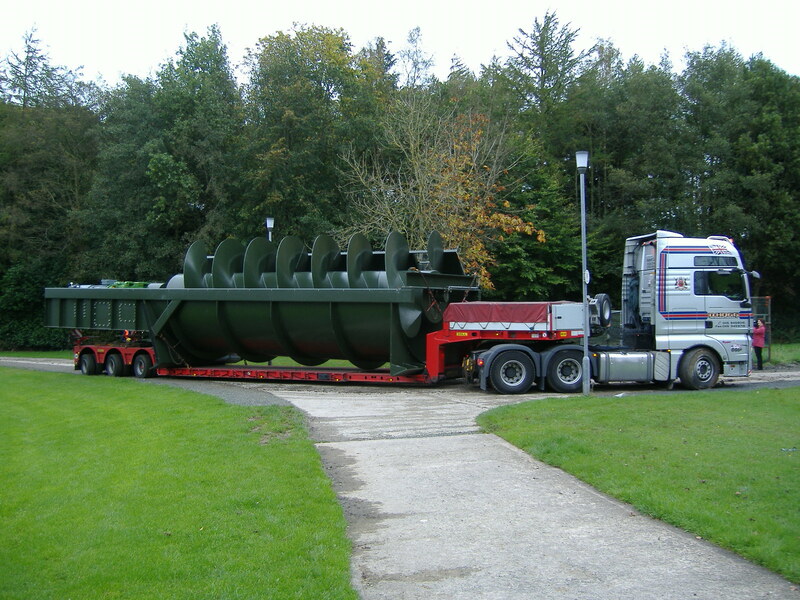 Eco Evolution, as well as being involved in the relatively large sized projects in Omagh and Shane’s Castle in Antrim where the largest ever manufactured Archimedean Screw hydro generator of 214 kilowatts has been installed, are also currently working on a smaller 20 kilowatt private scheme in Co. Antrim that will shortly be submitted for planning. This scheme is situated on a farm and will generate an estimated 65,000 kilowatt-hours (or units of electricity) per annum with a Carbon Dioxide (CO2) emissions saving of over 40 tonnes. A small scheme like this would be capable of powering approximately 15 average households. 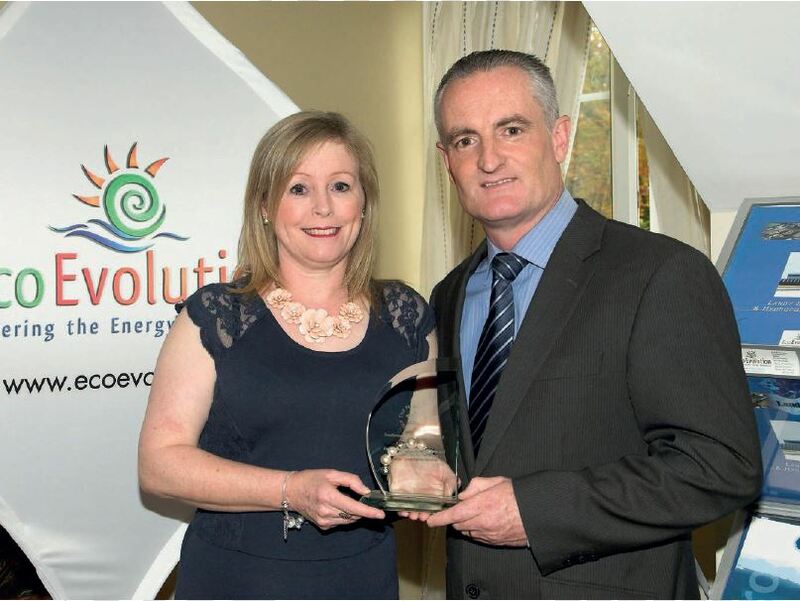 Eco Evolution also have two schemes planned on the river Slaney, the famous salmon and trout river in Carlow/Wexford that is also a Special Area of Conservation, one of these recently received planning approval and the other is currently in the planning process. 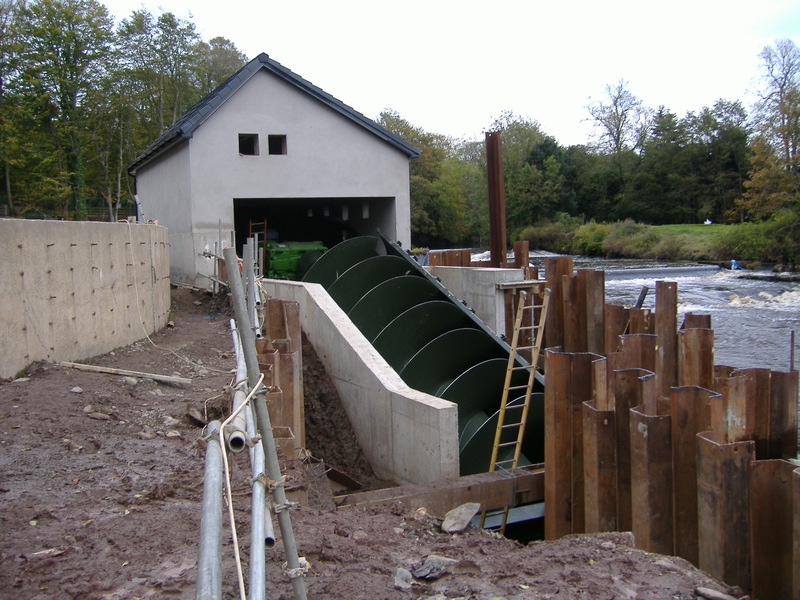 The Archimedean Screw has made hydro schemes possible on rivers such as the Slaney when proper mitigation is implemented. 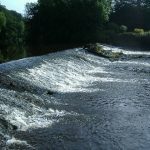 In fact hydro schemes can, and have, enhanced and improved fish passage and migration on many sites that Eco Evolution and Mann Power have been involved in. With regard to Microgeneration Certification Scheme (MCS) Certification, Mann Power are registered under the scheme as Transition Installer 109. Note however that the Department of Energy and Climate Change (DECC) in the UK recently announced that they are proposing to withdraw the exclusive link between micro hydro and the MCS for the purpose of the Feed-In Tariff eligibility as they have recognised that there is a case to treat micro hydro differently due to the special and complex nature of micro hydro development. 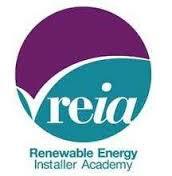 DECC will consider how this can be taken forward as part of comprehensive review of the Feed-In Tariff. Incentive payments in way of Northern Ireland Renewable Obligation Certificates (NIROCs) are available for renewable generators including hydro. NIROCs are available for the electricity generated by the hydro turbine, this electricity can then be used on site with the excess exported to the national grid. There is an Export Tariff available for any excess electricity that is exported to the national grid. The Eco Evolution professional team offers a friendly one-stop shop for hydro development, from feasibility studies to licensing, to installation and commissioning and everything in between. 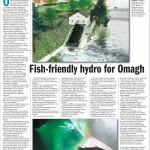 Fish-friendly Hydro for Omagh – Part I The development of the site on the Camowen river.